We are centrally located in the REAL HEART OF BUDAPEST DOWNTOWN, nearby the nightlife party area. 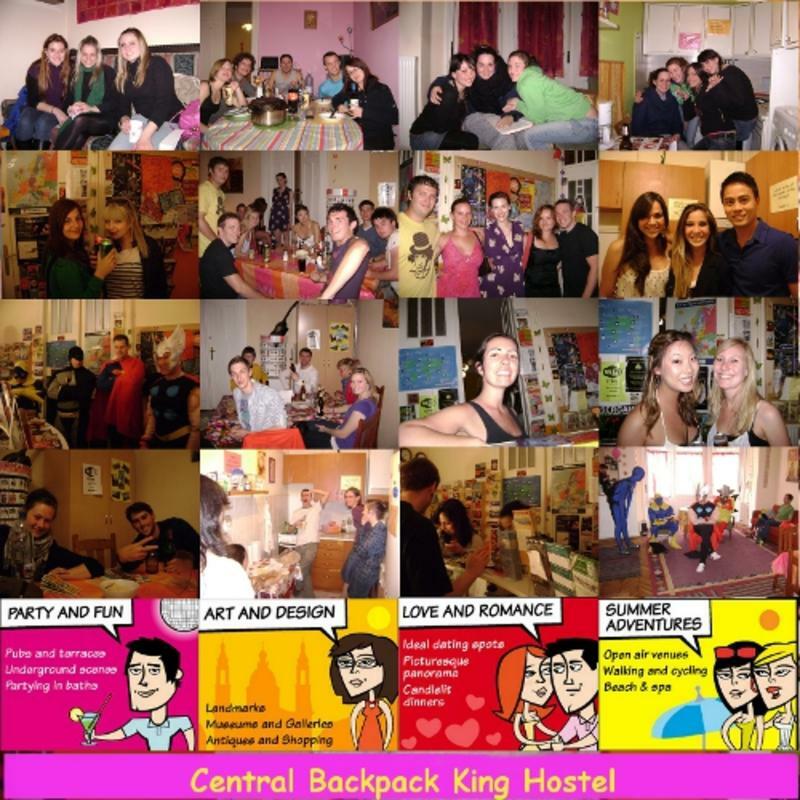 The hostel is surronded by famous historical buildings such as the House of Parliament, St. Stephen Basilica, National Museum, Hungarian Academy of Science, Hungarian Etnography Museum, Chain Bridge , Opera House. We are also close to the pedestrian precinct Vci street, Central Metro Station (Deak ter), Central Market and many Thermal Bathes. All the citys tourist attractions are within walking distance and forget the public transport. Taste our magic welcome drink the world famous hungarian palinka and be ready to discover our wonderful city. In the hostel we have clean toilets and showers. - Sightseeing tips what to do and see. How to get there. Catch the Repter Bus NR200 which will take you directly to the end of the blue metro line: KOBANYA-KISPEST. If you are coming from any of the main train stations (KELETI, NYUGATI, DELI) or International Bus Station (Orangeways-Nepliget station) )take the metro to the central metro station DEK TR... Go above ground to the Erzsbet tr (little green park, front of the Hotel Le Meridien and Hotel Kempinski). Standing on the corner Deak tr and Erzsbet tr, facing the church tower of St Stephens Basilika walk left and straight diagonally across the park Erzsbet tr. You will see a crossing on the corner Jzsef Attila t and OKTOBER 6. utca. Go straight onto Oktober 6. utca. Walk on the right side of the street until you see a big yellow lighting sign of 'Duran Sandwich Bar'. Right beside the 'Duran Sandwich Bar' you will find the house number 15. DIAL 11 on the dorbell! Also if you decide to take a Taxi, just take the FŐTAXI front of the airport entrence. They will take you anywhere in the city from 6000-7000 HUF/ taxi from the airport. (6000 HUF is around 20 euro). This way you can avoid to be overcharged. The Airport Shuttle Minibus costs 2300 HUF (9 EUR)/per person. For this price they also take you anywhere in the city.